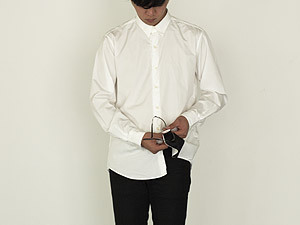 This shirt has a patch of microfiber for the people who unthinkingly wipe own glasses or mobile phone by their clothes. 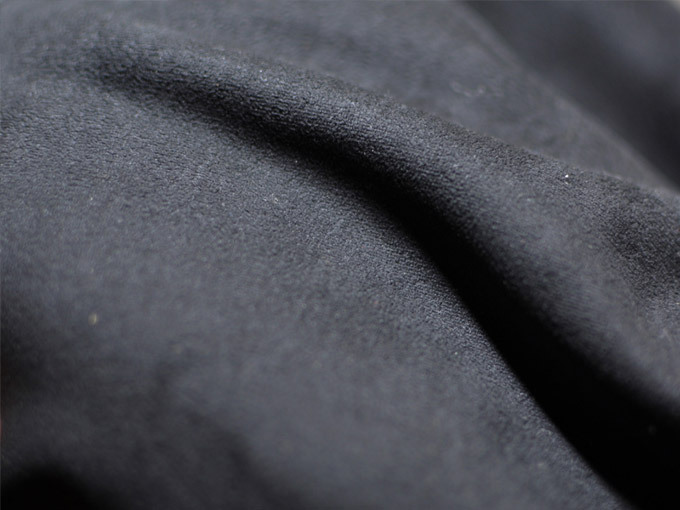 We worked with a designer who studied in Antwerp Royal Academy of Fine Arts fashion dept. 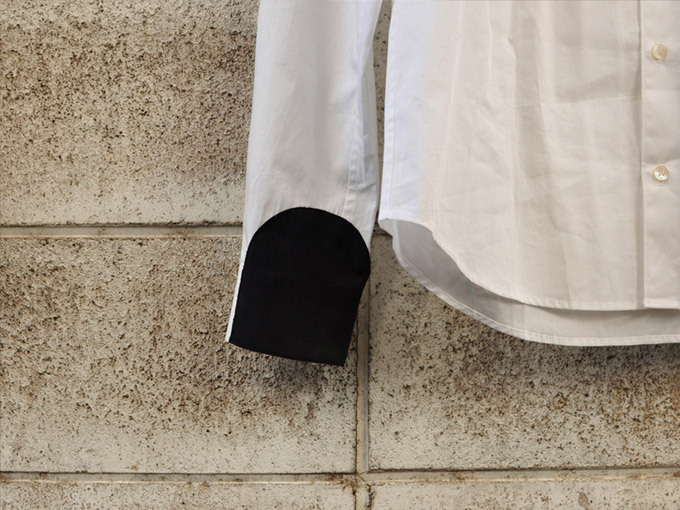 wipe shirt [cuff] has a patch of microfiber cloth on the right cuff.